Our love grew more and more each day. Isn’t that what it’s supposed to do? use whore-like skills for salty spills? how your life would change overnight. But neither did you put up a fight. You let me walk; we didn’t talk it over. I didn’t leave you for another. I left you for me. I even made a mess of that. Instead of grieving, I took to leaving. And I’m happy that you’re happy. I know that what I did was right – for you. And maybe I might smile too… one day. The love I found has done its round. It grew too fast, too soon. Reached the moon, but formed a crater. but for now, that’s in doubt. And that’s what got me where I am. No cats were blamed or people named. No love was lost at any cost. No smiles have faded, nor lives downgraded. No hearts were broken or things left unspoken. in the armour of amour. 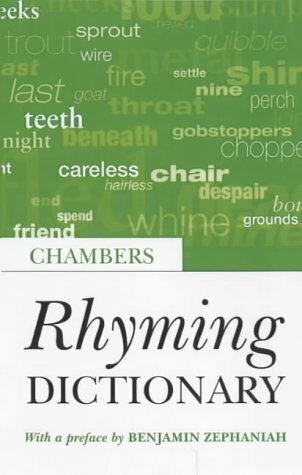 a book to help me rhyme… is that a crime? If in fact a crime, dear dreamer, merely a misdemeanor.